For example, consider a system similar to a social network where we have users and they have other users as friends. Following entity will completely encapsulate the data model; how it is going to be dealt in Back End and Front End, we will see after that. And the good part is that the data can be from any interface, be it the RDBMS, NoSQL DB, a File or even in-memory operation. GraphiQL is a GUI tool to explore the GraphQL API. It lets you design your queries, play with the combinations and other things for the provided endpoint. This tool also serves as a Documentation for the GraphQL API. Lets take a deep look at the following example of graphql with express, a node.js server framework. As the server.js is executed, the server will be up at port 3000 and then graphiql & graphql endpoints are available to use. As above code list the example of data being seeded through JSON file and then completely in memory. And in similar manner you can make it work with other data tools like mongodb, SQL etc. 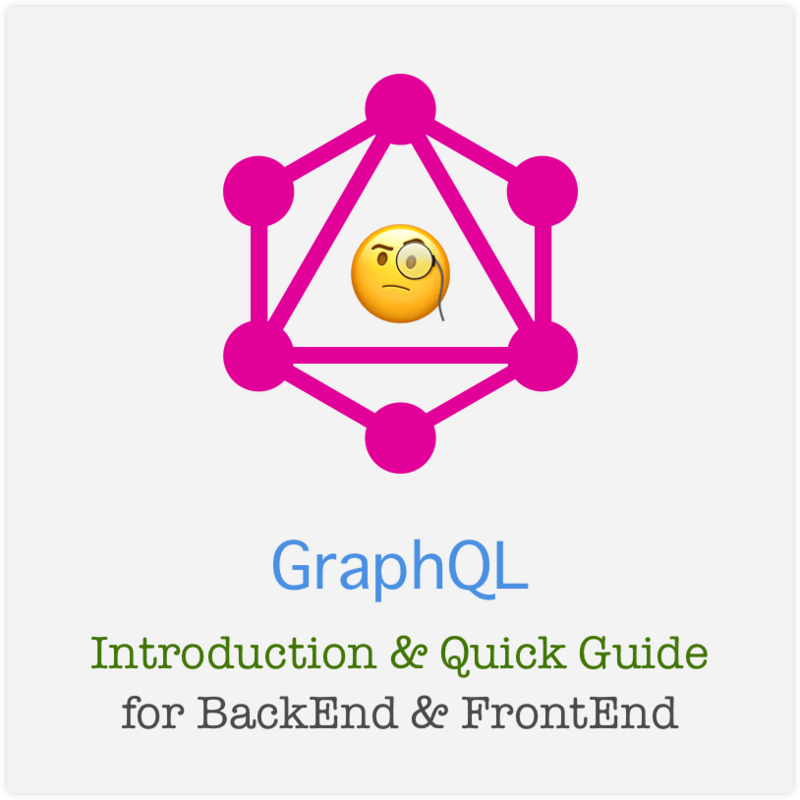 From front end point of view, the use of graphql is pretty simple as there are not many things changing; and is approximately similar effort. Though any change in requirement of data will introduce change in the request-query as well; which in case is good because the errors are intended and hence fixed right away. Lets take a look at basic vanilla JS code to get data and show it on front end. For certain, this code will be passed through bundler like webpack or rollup. GraphQL is considered a replacement or alternative to REST API. Above examples show a quick configuration and usage of GraphQL on both BackEnd and FrontEnd; the actual usage requires more configuration and proofing. The real world use case also involves complex schema and resolvers, which will pose you different challenges. Let us know your experiences and troubles while using GraphQL via comments and social network.